This E-pattern is for a cleverly buttoning crossover sweater with knitted belt tie from the year 1920. 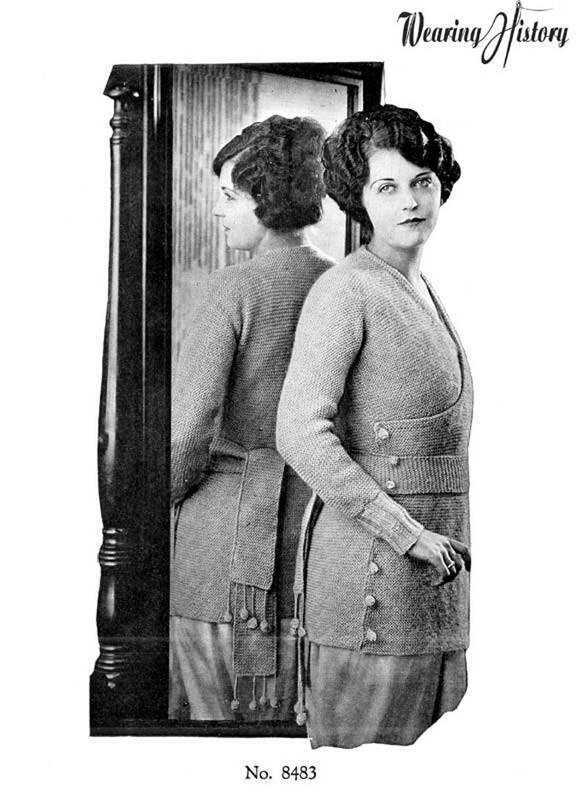 This sweater pattern includes instructions for size 36-38 inch bust. Bear Brand Knitting Worsted or Artwool- 12 balls. The gauge will be 5 stitches, 5 ridges to the inch. I am uncertain how this translates into modern yarn weight and lengths. This digital pattern has been restored and remastered from original authentic period source materials and comes to you in PDF format. This e-pattern is two pages in length, including instructions and an image of the finished garment.